A new page with some information about The Schuyler Electric Light Company has been added. 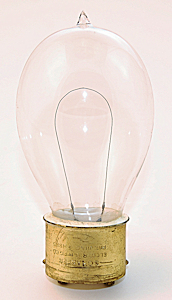 If you have additional material to share, photos of Schuyler incandescent lamps or other items, please consider contacting me to add them to this page. Full credit will be given for your contribution. 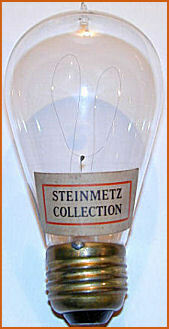 Three early bulbs acquired in 2013 sparked some research that evolved into this new page concerning the Schaefer Electric Manufacturing Company. An early Sawyer-Man wall socket dating back to 1887 has been added to the gallery. Now, to find that matching plug! As always, I will add more info to these pages as I come across things. If you have information or pictures to add, please contact me. 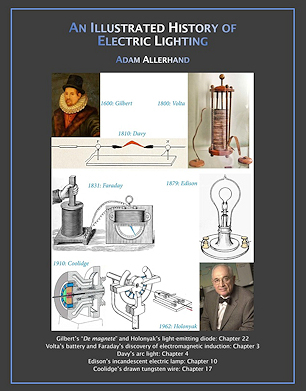 Bez Bujda Press was created for the purpose of publishing "Illustrated History of Electric Lighting" by Adam Allerhand. The book is self-published, printed at Colorwise Commercial Printing in Roswell, GA, available on Amazon or directly from the author. Heavily illustrated, full color, large format (8½ x 11), heavy satin paper, over 500 pages, weighs about 5½ lb. Adam Allerhand, Professor Emeritus of Chemistry at Indiana University in Bloomington, Indiana, began working on his book in 2008. The book was released on September 21, 2016. Please click here for more information. These informal pages contain history culled from various early electrical journals and early books describing incandescent lamp technology. No attempt will be made to rewrite history. These pages are simply placeholders used to store information specific to the manufacturers below as I discover it. Please contact me if you have material to add and share. 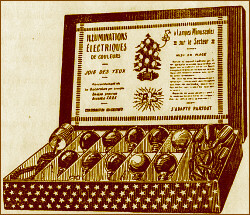 Latimer Clark, Muirhead & Co.
A boxed set of Christmas lights from L'Electricite Decorative a Lampes Minuscules, a vintage French lighting catalog from 1937. Check out the vintage literature section for more great old catalogs and advertisements. Mather Electric Company, Direct Current Incandescent Lighting: Published during the late 1800s, this hard cover book describes in detail the Mather incandescent electric lighting system. It is profusely illustrated and provides a rare and interesting glimpse into the early days of of electric lighting and power generation.